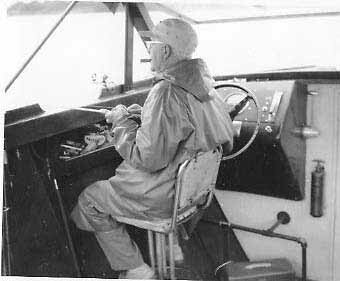 Joe's Lodge had the only launch boat on the lake in the early days. Oh yes, he did like his cigars. 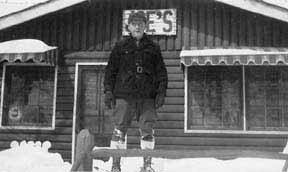 Inside the Main Lodge around 1939? About 40 lbs. of what? 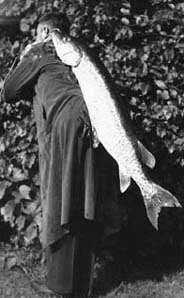 Catching fish this size was common around the 1930's. 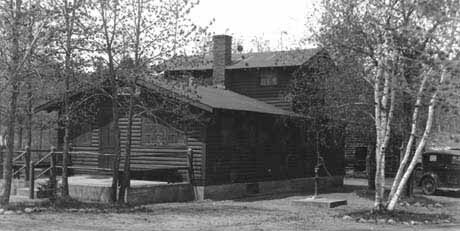 The main lodge. Note the car on the right. 19? ?